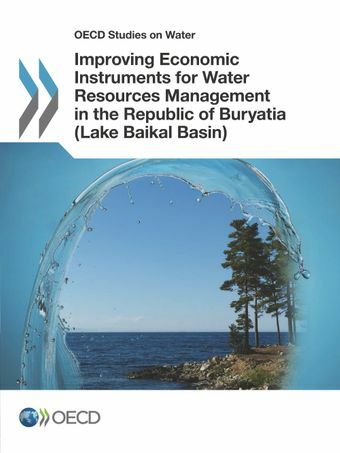 A major challenge facing the Republic of Buryatia, subject of the Russian Federation, is how to balance the task of protecting Lake Baikal – a unique water object and ecological system included in the UNESCO list of World Natural Heritage Areas – with the need for dynamic and sustainable socio-economic development of the republic. This requires streamlining and improving water policy jointly with economic, administrative, information and other policy instruments. The recommendations in this report aim to help achieve this objective. They include the introduction of abstraction charges for irrigation water as a natural resource; enhancement of state support to the water sector; and improvement of economic instruments for managing risks of water-related hazards (such as compulsory insurance and differentiated land tax rates in flood prone areas). A few innovative instruments are also recommended for pilot testing such as establishing limits for discharges of certain hazardous substances in a pilot area (e.g. Selenga river basin) and progressive development of market for tradable quotas for discharges of the “capped” pollutants; and introducing a charge (tax) on toxic agricultural chemicals (pesticides, herbicides, etc.) and synthetic detergents so that to create incentives for the reduction of diffuse water pollution.